Home Bhukkad Super delicious and healthy Palak Makhana Recipe! Super delicious and healthy Palak Makhana Recipe! 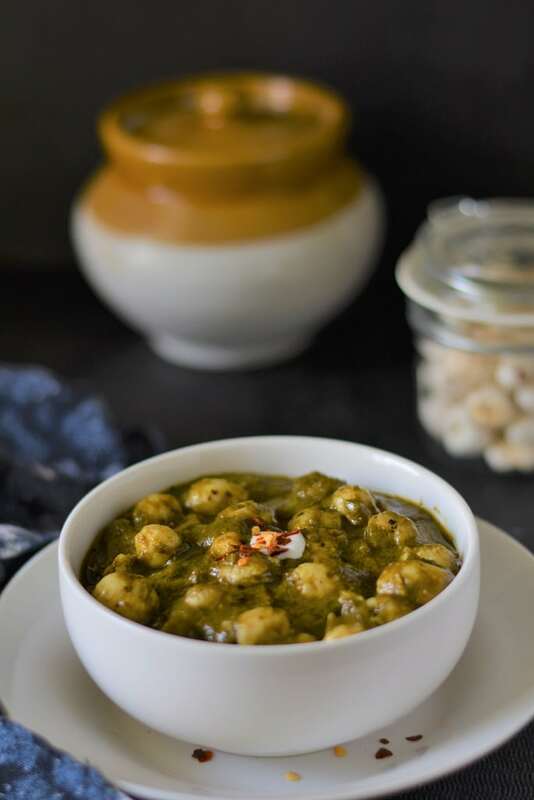 Palak Makhana is a North Indian gravy made with with roasted makhana blended in a creamy palak gravy. India is a country with different religions. With every religion, comes their cultures and traditions. Every festival is widely celebrated and every state in India has its own way of celebrating it. And when it comes to festivals, it is always about food. There are many traditions about what to cook during these festivals which is cooked by our ancestors from years. Also there are specific food items which are made during fasting days and one of them is Makhana which is also knows as Lotus seeds. From curries to raitas, you can make many recipes using Makhana. Not only during fasting days, you can even make them during your usual days for your everyday food. 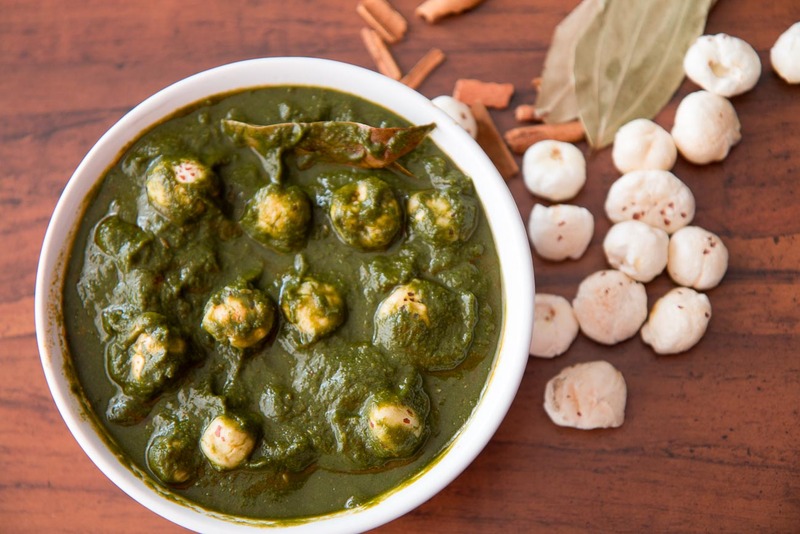 Palak Makhana is a North Indian gravy made with with roasted makhana blended in a creamy palak gravy. This is a dish that is famous during the festival of Navratri where people fast according to their tradition. Since there are no onion and no garlic added it makes a perfect dish to be eaten while fasting. Lotus being spiritual to many culture, the seeds gives a unique touch to the dish being prepared. The lotus seeds are meant to contain many health benefits mainly to the Heart and Kidney. We begin the Palak Makhana by washing the spinach thoroughly under running water. Drain the spinach and cook it in a pressure cooker with little bit of turmeric powder, cumin seeds and green chillies for 2 whistle. Once the whistle is done let it cool down till the pressure comes out naturally. Blend it into paste and keep it aside. Roast the makhana with ghee on a flat bottomed non-stick pan. Remove the makhana and in the same pan add little bit of oil and temper the cumin seeds and add the tomatoes.Cook until they loose all the liquids and add all the spice powders. Add little water and simmer it for 2 minutes. Add the blended spinach mixture along with milk and simmer it for 3 minutes again. Finally, add the makhana and bring it to a boil. You can serve your creamy Palak makhana with Ajwain puri or Jeera pulao to make a complete wholesome meal. Next articleVirender Sehwag Sarcastically Trolls Pakistan Players On Their New Look! Poha Health Benefits: Why Indian Poha Is The Healthiest Breakfast?